ULKOtours is happy to welcome Travel Agency Representatives, Independent Travel Agents and Group Leaders on our web-site. If you are organizing private and group tours to Russia and Scandinavia or selling Baltic Cruises, we are happy to offer you an easy opportunity to increase your sales and expand your tour coverage by offering our shore excursions, land tours & packages and short day trips. Apart from providing your clients with exceptional travel experience, we also care about you. We welcome you to learn more about us by visiting About ULKO section. 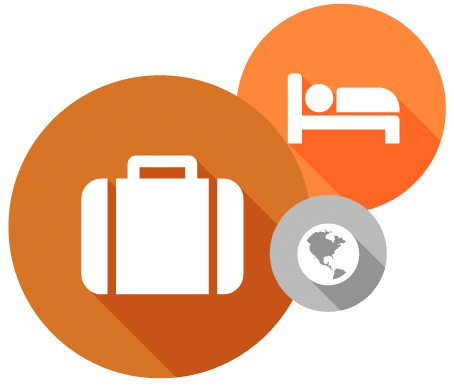 ULKOtours is a leading tour and activity supplier for major OTAs like Viator, Expedia and GetYourGuide, offering over 300 tours combined on all platforms. Unlike them, our Travel Agent commissions for you are higher and our prices for your clients are lower! Our commission rates vary from 5% to 20% depending on the tour and program. if you are an active seller, you could be making a fortune. Your clients will never know they had toured with anyone else but YOUR agency. Let us know if you would like us to provide a special compliment from your agency for your clients upon arrival. Fill out the registration form below and start earning commissions right away! New On-line Reservation Platform Launched! Better than any OTA. Point. On-line reservation platform with intuitive backend to join our affiliate program, book tours for your clients, send them trackable tour links, view purchases and commission reports. Contact us to know more and get registered! If you are a hotel, a transport company, a venue/museum, a restaurant or any other service provider that would like to become our Trusted Partner please get in touch with Elena Ulko. Please allow for up to 7 days for us to review your partnership request or cooperation offer. We study all offers carefully to make sure they fit our safety and quality requirements and will be benefitial for our clients. ULKOtours has served over 40,000 happy clients since 2003. We sell more than 200 various tours in Russia & the Baltics. Our team has 75+ guides in all destinations we serve. We are a direct supplier, not a reseller! That's why our prices are lower! We are very flexible about payments and cancellations - just give us a call to learn more. Exceptional tour service: We are one of the leading OTA partners, including Trip Advisor & Viator, and have earned multiple excellent reviews from our past clients. Vast destinations coverage in Russia & Northern Europe: Our tours include shore excursions, short day trips in Russia and Scandinavia, longer city breaks, Trans-Siberian tours, adventure programs, Russian River Cruises. Dedicated Visa department: NO Visa required for cruise passengers. (VISA-FREE aka Blanket Visa). FREE Visa Support for hotel clients. Competitive tour prices FIT and groups: We have direct special terms contracts with most travel industry suppliers and are able to provide excellent competitive prices for your clients. Due to our excellent business reputation and personal connections, numerous things can be handled with priority attention to OUR clients. Financial stability & Liability Insurance: We are fully bonded and insured by Russian Travel Standards for your client's safety. Emergency contact number: We can be reached anytime 24/7 for your client's peace of mind. We are the only company on the Russian Shore Excursions market with a walk-in office in the USA to facilitate communication with Travel Agents. Generous commission structure, up to 20%. Individual negotiable commission rates and immediate payouts after the tour has been completed. Payment options: Check or PayPal. No international fees. We accept various types of tour prepayment from agents in the USA (credit/debit cards, checks, PayPal, bank transfers). If you own/work at an agency and would like to educate your personnel, we do tour presentations at YOUR office and answer all your questions right away. Fast Brochure delivery to your door. Security and professional guarantee: ULKOtours is an active member of member of CLIA, ASTA, BCA.